The cemetery and memorial site cover 77 acres. It features an immense field of tombstones of 7,860 US soldiers, arranged in soft arcs in wide green meadows under rows of Roman pines. 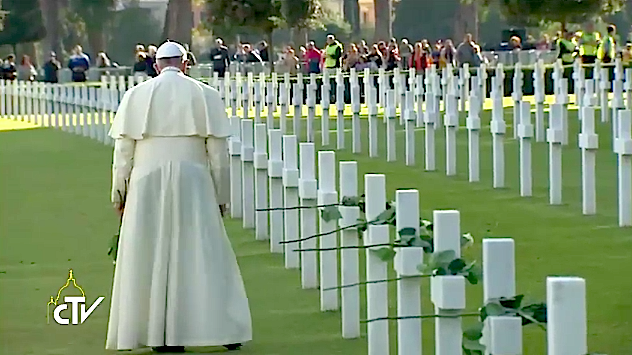 The majority of these individuals died in the liberation of Sicily (from July 10 to August 17, 1943); in the landings in the Salerno area (September 9, 1943) and in the intense fighting to the north; in the landings on Anzio beach and the expansion of the beachhead (January 22, 1944 to May 1944); and in air and naval support in the regions. The Sanctuary of the Ardeatine Graves was created for the perpetual remembrance of the cruel massacre perpetrated by the Nazis in Rome on March 24, 1944, in the wells of Ardeatina Street; It was solemnly inaugurated in 1949, on the occasion of the fifth anniversary of the massacre. It covers in a single complex: the caves, where the wounded were consumed; the mausoleum; and the sculptural group that expresses the tragedy of the 335 martyrs.